Residential / House cleaning contractors. Commercial / Office cleaning contractors. 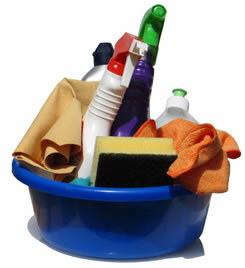 SA Professional Cleaning uses team cleaning as a method of our cleaning operation. This method uses specialists who undertake specific cleaning tasks. This method enables us to save our customers money on labour and equipment by correctly structuring the cleaning operation. Because people specialize in specific tasks, there is accountability and no time and equipment wastage. This method covers all areas that require cleaning and it improves the standard of our cleaning services dramatically. Focuses on removing all dust in the building high and low. They also empty all the waste bins, clean ashtrays and remove rubbish away from the building. Vacuums all the carpets, ensuring that your office is left dust free. Once a month the carpet will be deep cleaned using steam cleaners or chemical shampoo cleaners. Cleans all toilet bowls, floors, urinals, mirrors, walls and empty waste bins in the toilets. Equipment and consumables and materials used in toilets are not used anywhere else for hygiene reasons. Cleans all the floors including sweeping, mopping, and spot cleaning of walls. Services are further divided into two sections.